From San Leandro down all the way on the east side of the South Bay, put-ins and take-outs are rare and hard to reach because there are so many wildlife reserves for birds. Camping is also prohibited by the US Fishing and Wildlife Service. 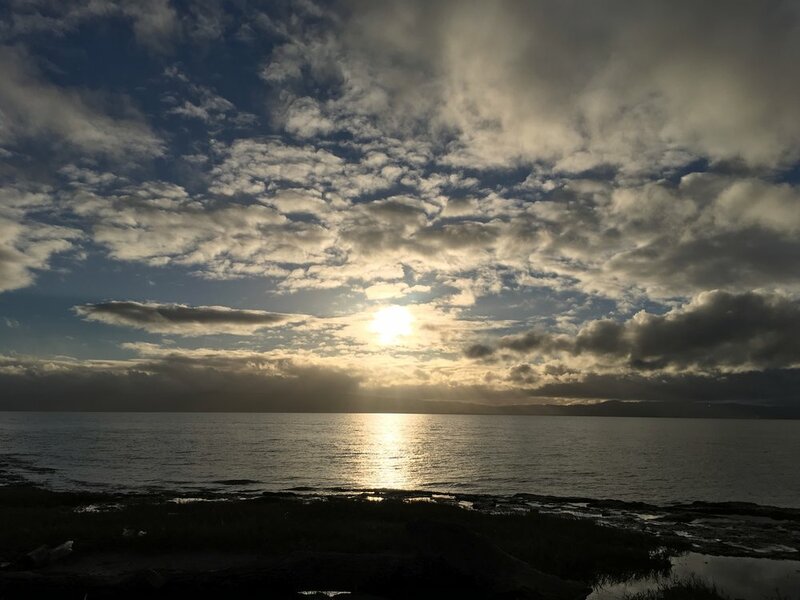 If you want to see the wildlife, you can easily paddle along the coast before San Mateo Bridge, explore and return to San Leandro Marina. 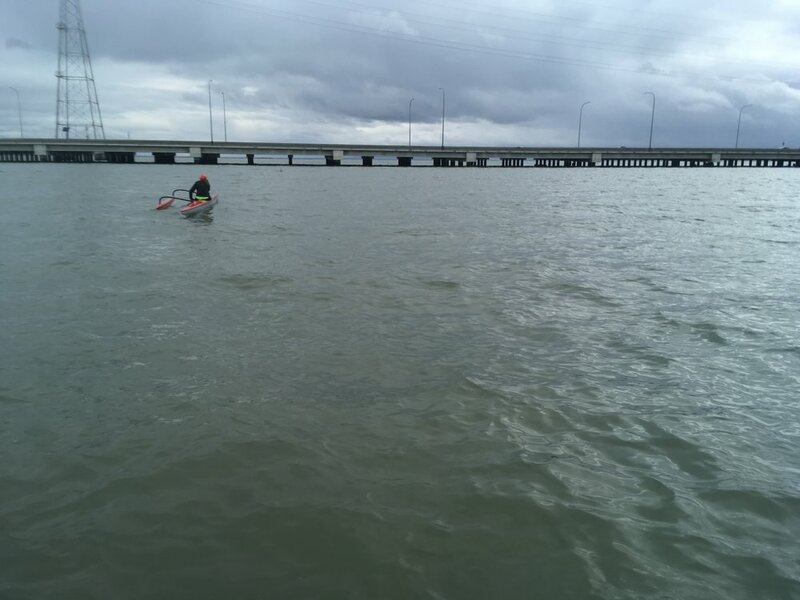 On January 2, 2017, Stephanie Siaris and I paddled the stretch against some headwind to San Mateo Bridge, and I continued onto Don Edwards Wildlife Reserve while she paddled back on her OC. Stephanie paddled twice of the speed as my fully loaded inflatable SUP and looped around me probably 4 or 5 times. Click on the picture below to see the full map. Conditions: It was a cold day in the low 50's and the wind was 10 knots S/SW. Hazards: There is very little boat traffic on this stretch. 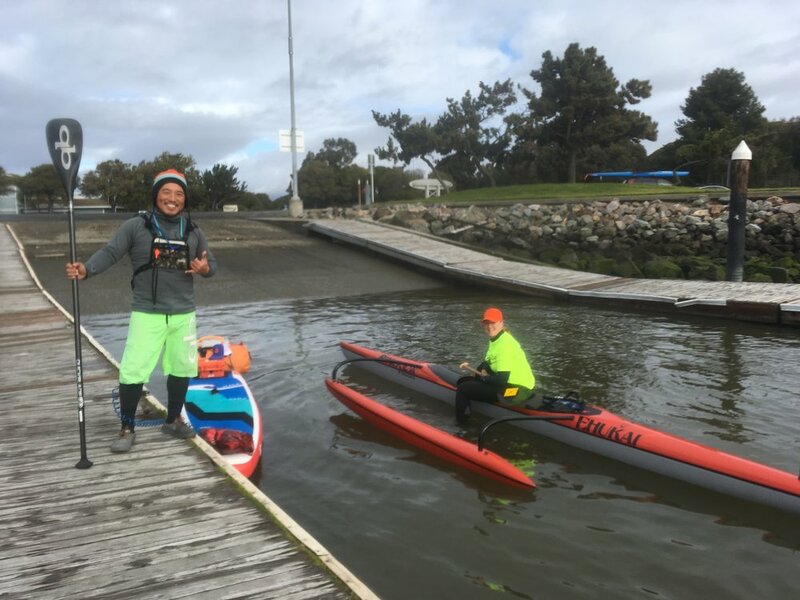 Paddling under San Mateo bridge can be a little intimidating because the tides/waves get constricted between the pillars, so best to paddle through the bridge with some speed. Or try to take a picture and fall in the water if it's warm. 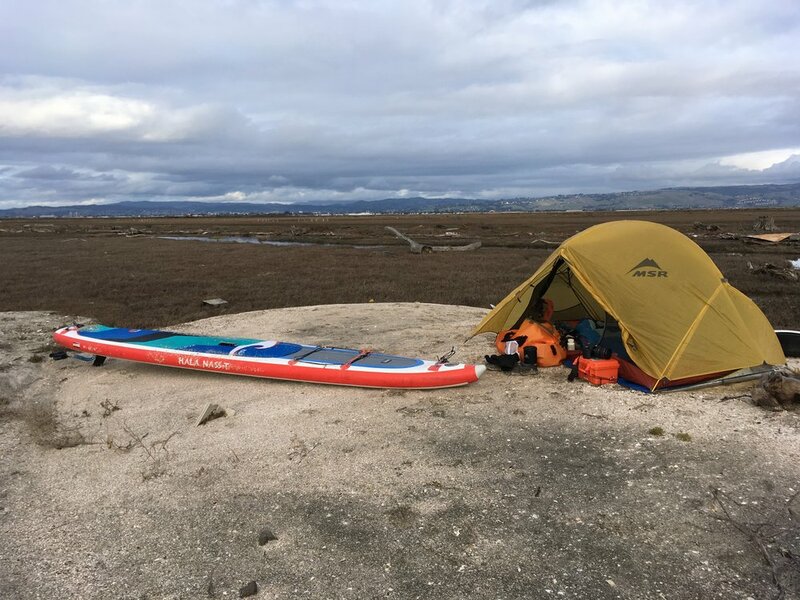 Low tides can also be an issue if you decide to pull over, it could be a several hundred yard grind in the muck before you can paddle. Put-in: San Leandro Marina is a really nice marina with lots of parking. The public ramp and dock is on the south side of the marina. There's a port-pottie there also. Take-out: It's extremely hard to find a good take-out point around here. The best one I've found is where Alameda Creek meets one of the bridges but it will increase your paddle distance by several miles. I elected to camp instead. Camping: As previously mentioned camping is illegal along the wildlife reserves. But you could find a small seashell beach and camp using leave no trace principle while not disturbing any of the bird life. Be careful of the clay along shore, they can be very slippery during loading. 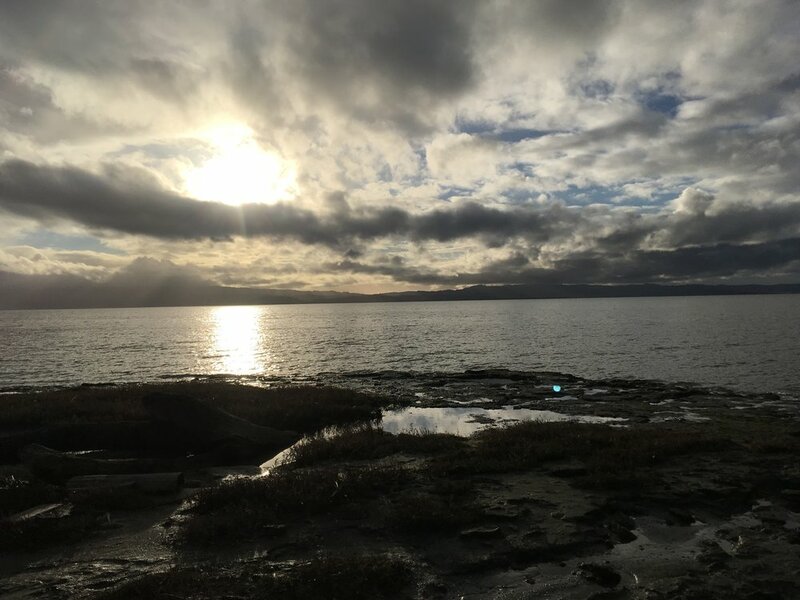 Low tides are also issues as mentioned before.